We are an independent firm of designers, planners, engineers, consultants and technical specialists offering a broad range of professional services. Through our work, we make a positive difference in the world. We shape a better world. Founded in 1946 with an initial focus on structural engineering, Arup first came to the world?s attention with the structural design of the Sydney Opera House, followed by its work on the Centre Pompidou in Paris. Arup has since grown into a truly multidisciplinary organisation. Most recently, its work for the Singapore Sports Hub has reaffirmed its reputation for delivering innovative and sustainable designs that reinvent the built environment. 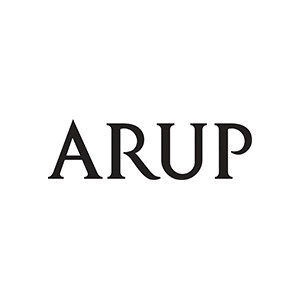 Arup brings together broad-minded individuals from a wide range of disciplines and encourages them to look beyond the constraints of their own specialisms. We have a strong track record of helping many development and humanitarian organisations, and the people they?re mandated to help. Whether this is achieving clarity where there is complexity, greater efficiency, or improving the speed, quality and sustainability of projects. Arup was engaged by the Growth Areas Authority to undertake the preplanning assessment for an Integrated Water Management (IWM) Strategy for Tarneit, a developing region within the City of Wyndham in Melbourne’s outer suburbs. Arup was engaged by Major Projects Victoria to undertake the detailed design of the stormwater harvesting system. The detailed design and construction of the associated infrastructure had a number of significant challenges, particularly the diversion, detention and storage structures because of deep excavations with difficult soil conditions and the need to accommodate existing and often unknown services and underground structures. As a result of an integrated water strategy developed by Arup for the Melbourne Sports Precinct, a sewer mining scheme was identified as a viable alternative water source for the Melbourne Cricket Ground (MCG) and surrounding Yarra Park. The ACT Land Development Agency, on behalf of the ACT Government, has appointed Arup as lead consultant for the City to the Lake Estate Development Plan. The mixed-use development is one of Australia’s largest urban renewal projects and builds upon the vision of Walter Burley Griffin; to foster the growth and prosperity of Australia’s capital. Arup delivered an Irrigation Modernisation Plan (IMP) that ensures the RIT and Renmark community can look forward to a thriving and sustainable future. Arup prepared a comprehensive water and wastewater strategy as part of an integrated masterplan to extend an existing township in Preston Beach, WA, Australia.